I had a spiral-bound recipe book and was integrating those recipes into my regular recipe 3-ring binders. In the front were some notes from when I was pantry-style cooking and whipping things up. 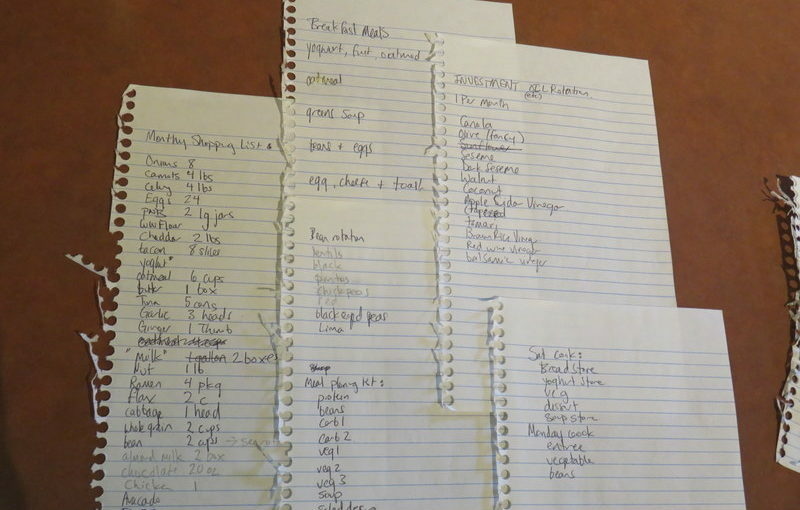 I had my monthly shopping list, my regular breakfasts, my rotation of beans, and a list of things to make regularly to have on hand to assemble meals. Plus my cooking plan and a rotation so I would buy specialty oils on a regular basis. If memory serves, this was a moderately successful venture. While I’m good at cooking from recipes, I’m not the greatest at taking prepared ingredients and making a fabulous meal, possibly because I’m not good at seasoning food. Thus, everything kind of tastes the same. I think after this I signed up for a monthly Stonesoup subscription where she sent me six (or seven?) 5-ingredient recipes. That cost $20 per month and I did that for about a year. And now you have a different method? We are not so great at meal planning, as you know. I love that you have helped by sending Soup Stones details and recipes our way. Having our local food service every other week has made all the difference for us. Thank goodness! Yes, I would guess that was two meal planning iterations ago. When I get the other blog up and running my current way of meal planning will be a post. 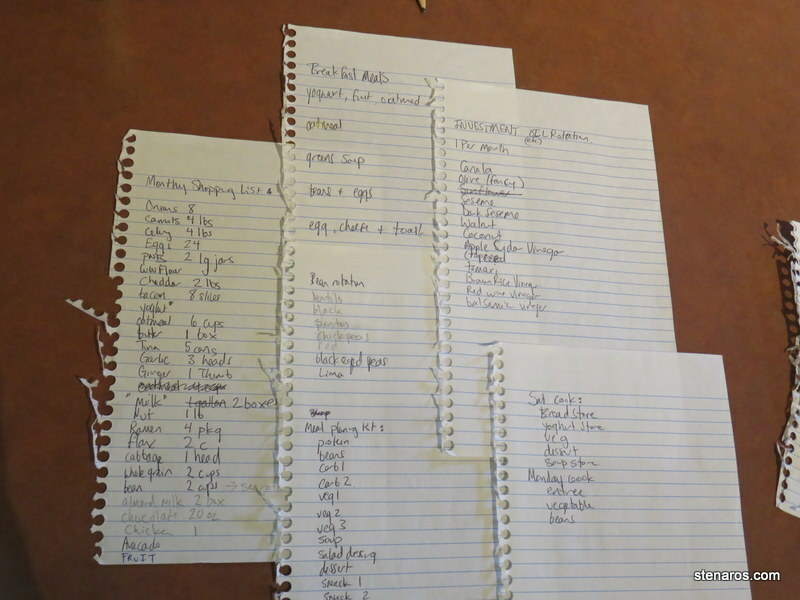 A way of meal planning in the past that I have very fond memories of is when I lived in South Boston. Monday nights were laundry night, so I would pack up my laundry and my cookbooks, then walk around the corner to the laundromat and meal plan while my clothes were being washed. I would come home with a list of food, a grocery list and clean clothes.